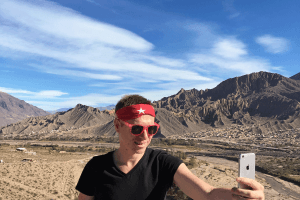 Gay travel can be an awkward topic for many, mostly because to be lesbian, gay, bisexual, transgender, or queer (LGBTQ) is really to be a part of an incredibly diverse group of people. There are gay families who travel, solo gay travelers (like myself), solo lesbian travelers, ones who travel for gay pride or nightlife or honeymoons, those that take gay cruises or splurge on luxury holidays, and ones who rough it camping and backpacking in faraway places. And just like every other type of traveler, we travel for our own personal reasons. Every aspect of what makes us unique also contributes to how, where, and why we travel. I travel because I love to travel, and I just happen to be gay. That’s not to say I don’t also travel gay. Sometimes my sexuality also influences the how, why, and where I choose to visit a place. 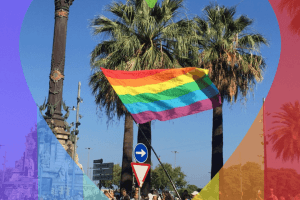 It’s usually to visit a specific LGBTQ event (such as a gay pride march or a queer music festival), but also as a way to explore traditionally gay hotspots (like Tel Aviv, New York City or Madrid). But what does LGBTQ travel really mean? It’s about safety, it’s about comfort, it’s about politics. But it’s also about gay-welcoming events, friendly accommodation, and having fun with travelers who share something similar with you. One of the most important aspects of LGBTQ travel is your safety. I trust the following sources for finding the latest LGBTQ news and stories — those that are relevant for gay travelers. Monthly queer networking events take place in New York City, co-hosted by @travelsofadam. Learn more about Queer Travel Social here. You’ll find plenty of gay hotel directories online, but I still find booking through the major networks such as Booking.com or Agoda.com to provide the best deals. Here’s how I find a gay hotel: (1) Search/Google to find where the cool area, hipster neighborhood, or gay neighborhood (gayborhood) is located in a city I’m traveling to; (2) Then I look for hotels (or Airbnbs) in the same area using the map feature on HotelsCombined.com or Booking.com; (3) Sometimes I also Google for gay hotels in a city to see if there are any specifically gay hotels/resorts; (4) Then I’ll check the websites for each property to see what looks modern and cool; (5) Finally, I check recent hotel reviews, often directly in Google Maps; (6) Once I’m ready to make a booking, I go with one of the sites I trust the most: Booking.com, Agoda.com, or HotelsCombined.com. I also regularly use Airbnb when looking for accommodation. There is a gay alternative to Airbnb, Misterbandb.com, but honestly I just prefer to use Airbnb. It’s more reputable, safer and I’ve still managed to find LGBT hosts. For a discount on your first Airbnb booking, use my discount code by signing up here. Follow @travelsofadam on Instagram for more gay travel tips, stories and photos — in real time! Is 2016 the gayest year? With queer advocacy rising, the Gayest Olympics ever and a rash of LGBT equality issues at stake, this is one of the gayest years.